Who is not all about that glow? I know it might be a trend thing but it's been stuck around for quite some time now. Do you guys remember when everything was about looking as matte and non-oily as possible? These days the line between looking oily and looking glowy is very blurry. But I like it that way! Today I will share with you my go-to products for a glowy look. And please don't forget to leave me your recommendations in the comments. I honestly feel like looking glowy is way easier when you are a bit more tanned. I am naturally very, very pale. So unless I just came from a sunny holiday I need some extra help there. For these days I love to use the *Charlotte Tilbury Bronze & Glow Mask. You simply use it in the night and you will wake up with that sun-kissed look. But don't worry. It's not that intense and it's buildable. So if you want it a bit darker, just use it a couple nights in a row. I am obsessed. My primer of choice is *Wonderglow by Charlotte Tilbury. I use this daily for a couple of months and don't see myself changing to another one anytime soon. It's not one of those horrible slippery silicone feeling primers. It's amazing. If I want a bit of extra glow I mix it in with my foundation instead of using it under it. The star of this post is without a doubt the new *Charlotte Tilbury Hollywood Flawless Filter. (I know another CT product.. but it's my favourite brand so I hope you forgive me). At first, I was a bit confused with what this product actually is. Is it a primer, a foundation or a highlighter? It's a bit of everything. I sometimes use it under my makeup, sometimes on its own and sometimes only on my cheekbones for a natural-looking glow. It also comes in 7 shades. So there should be one for everybody. If you only get one of the products from this post.. this is it! If we think about glow we all probably think about powder highlighter first. And even though I don't think it's the only way to get the look, I think it's a pretty important part. I sometimes skip a powder highlighter when I want to go for a very natural look. But on most days the *Filmstar Bronze & Glow palette by Charlotte Tilbury is a must for me. I bet you all heard about the *YSL Touche Eclat a million times. But it is for a good reason. I get this one out everytime I had didn't get enough sleep and need some help in the under-eye area. It doesn't have too much coverage so I use it more like a brightening than a concealing product. The finishing touch to a fresh glowy look would be the eyes. I am not someone who likes to use a lot of eyeshadow. I just find it too time-consuming. But a quick wash with one colour over my lids always sounds fab to me. *"Jean" by Charlotte Tilbury is the perfect product for this. A subtle and natural looking champagne-gold with a slight shimmer. Gorgeous. I would love to hear about your favourite products to achieve a glowy makeup look! Oh thank you so much Ana! What a lovely post! I love to create my glow with the sticks from Fenty Beauty! I love glowy skin! I'd love to try it a few more things from Charlotte Tilbury. As for me I love the Becca highlighters, they give the best glow! I love highlighters! You're so beautiful! OMG I've tried the Charlotte Tilbury highlighter and bronzer duo set and loved it!! The shimmer and glow of the swatch on your hand looks so amazing girll! YES YES YES the set is beautiful! would love to give these products a try ! Oh thank you so much lovely! I want to try Jean. I keep forgetting to purchase this hahahaha. I use Marie Antoniette and love it so much. I really love her cream shadows. Such great coverage that lasts all day, even without primer. The only other product from your list that I've tried is the overnight bronze and glow. TBH I didn't love this. It's definitely on the lighter side when it comes to colour and I'd prefer darker with just one use. the Charlotte Tilbury glow mask sounds really good! I'm a complete Charlotte Tilbury addict and so this post is making me swooooon. That glow!! So glad you like it Macey! I always used to prefer a matte finish but I've been enjoying a more glowy finish for the past year or so. I just had very oily skin in high school so I stayed away from dewy products! But I'm learning how to work with glowy products for my skin. Lovely post! I really have to try out the Charlotte Tilbury Hollywood Filter soon, I have heard such amazing things about it! Charlotte Tilbury is just the best. I need to try the hollywood flawless filter. my skin has been so dull lately. Such a beautiful shade on you dear! Love it! Ah CT is the best! I should really invest in great make up pieces. These seem amazing. Ahhh I love Becca! You are absolutely stunning, girl! So eager to try Charlotte Tilbury foundation! Great read! Amazing post! Thanks for share such important information. Waiting for your next blog. Oh thank you so much Erica! I've been so obsessed with the Hollywood flawless primer! It's so good and I tell all my friends about. There's so much that I still need and want to try from CT! 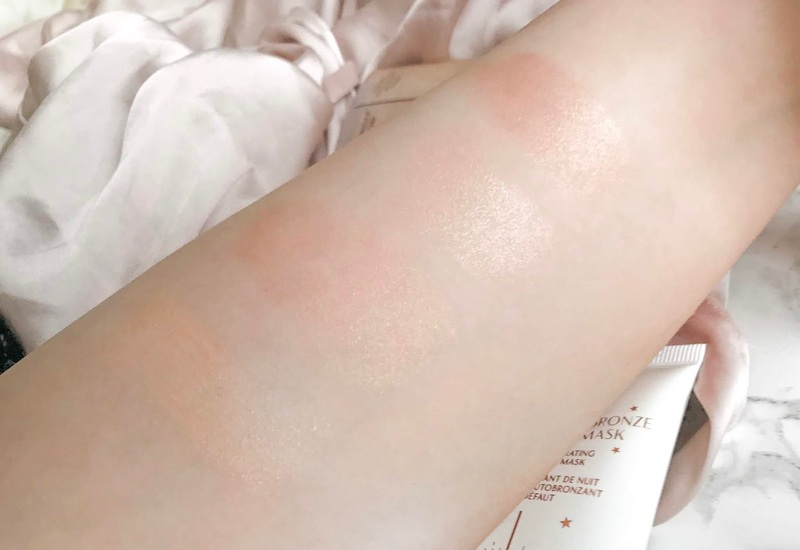 I'm all about settle glow which are Charlotte Tilbury products known of.